Hola people! Here's the review for my outfit on the preview post. At that moment, we decided to put on dresscode with a feminine theme. 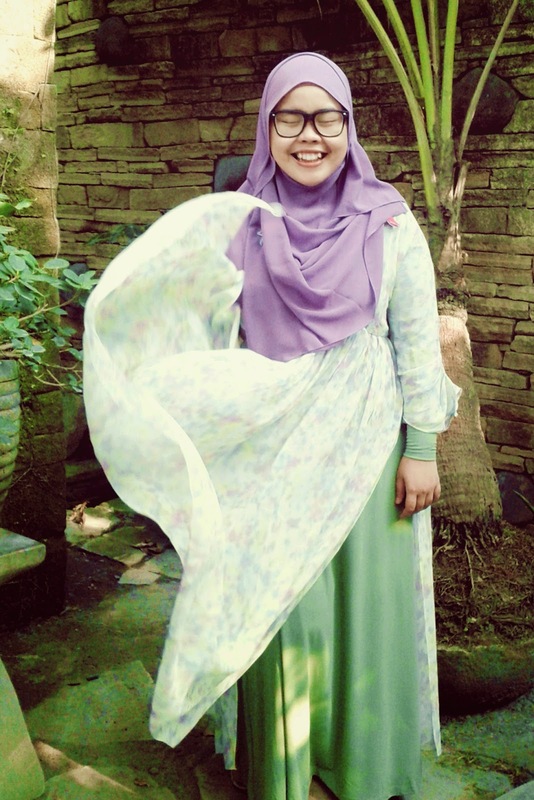 So, I choose to wear Abaya with outer and headscarf in pastel color. FYI, nowadays I prefer to wear dress or skirt more often than pants due to my medical conditions (I had an injury on my knee, so I decided to wear more loosely bottoms clothing). I also combine it with a matching color bag and wear sneaker wedges with soft color. 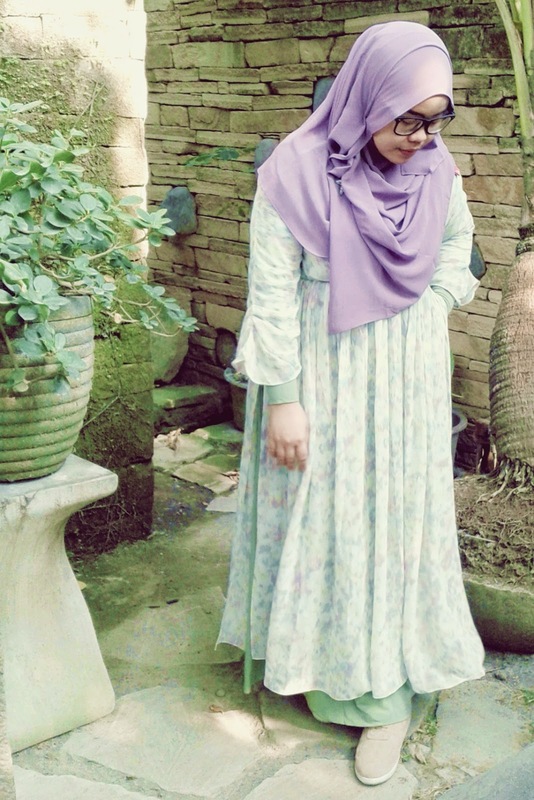 A little bit tips for muslimah, you should have some inner Abaya in various colors (but please make sure it still loose even though as an inner). Then you can mix and match them with any outer you have. For me it's okay to wear the same clothes at some occasion, as long as we can mix and match those outfit into a new look everytime we wear it.